Interview from our weekly TV show. Our 13-part TV series on Women in Science and Technology from Silicon Valley is currently airing on KCSM TV in San Francisco Bay Area. 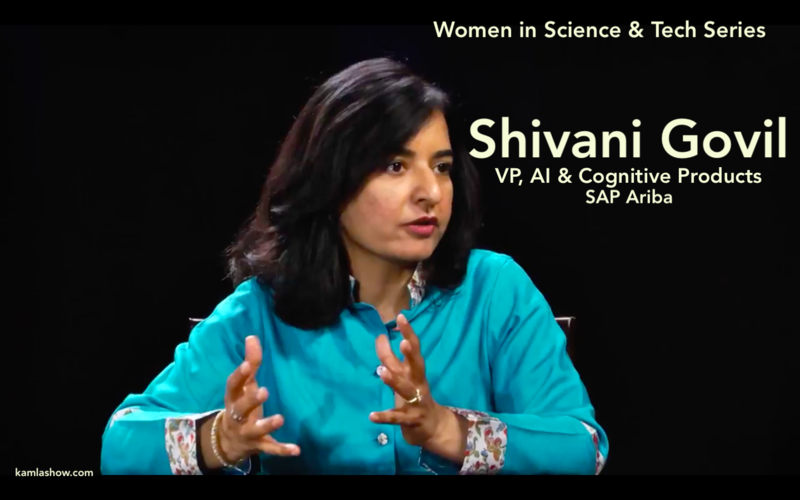 The series features scientists, entrepreneurs, engineers, rocket scientist and an astronomer, who share their journey and how they discovered their love for science and math. Thank you to Genentech for sponsoring 7 episodes from our series on Women in Science and Technology in Silicon Valley. If you live in the San Francisco Bay Area – you can watch series for the next few weeks on Sundays and Saturdays on KCSM TV on Comcast 17 and 717 and Direct TV 42. Silent films are often labelled as perky-jerky pictures with no sound but just text to give the viewer a context. That is not the complete picture as Robert Byrne, film restorer and Board President, San Francisco Silent Film Festival shares. Silent films contributed many of the techniques and narratives used by modern day filmmakers points out Byrne. Filmmakers and actors like DW Griffith, Abel Gance and Mary Pickford played a key role in the Silent Film era. Mary Pickford, for instance, was one of the founders of United Artists studio and took pains to preserve her films. Silent filmmakers were prolific in their output, but sadly many of their films don’t exist.They were either lost in accident, destroyed or poorly archived. Byrne, who is a film restorer explains how he along with other organizations uncover and painstakingly restore silent films. Many of these restored silent films are then shown at the annual 5-day San Francisco Silent Film Festival in San Francisco. The 2018 San Francisco Silent Film Festival runs from May 30 through June 5 at the Castro Theatre. The films are accompanied by live musicians and orchestra that adds a wonderful touch to the movie watching experience. This interview was aired on TV in the US. Here is a list of TV stations in the US that broadcast our weekly TV show. Do subscribe to our YouTube channel where we feature new interviews every week.